The Chitauri invasion in The Avengers has the potential for a million stories that use it as a springboard. This episode is one of the better logical sci-fi scenarios to be brought up after that story. Alien physiology means alien disease, and alien disease would not be something our physiology could handle. This episode reminds me of Star Trek. Any series. Medical plots run the risk of being boring. Disease strikes. Research research research. Technobabble. We found the cure! The trick is to make sure the characters' stories are compelling enough to making the boring action carry weight. In this case, I think it's working. The mid-episode flip, with Simmons being infected, raises the stakes not by putting lots of people in danger, but by putting people we have known for five episodes in danger. 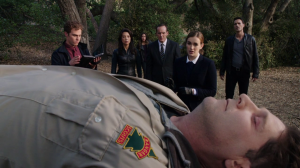 And seeing the FitzSimmons relationship portrayed as it was in this episode was emotional and effective. Ward has some interesting dialogue that feels like it was written before they knew he was Hydra. He's unhappy, and wishes he could strike out against a PERSON instead of it being a virus that is causing Simmons to possibly die. He's emotional because he can't protect people from invisible threats like this. At the time, it made sense. It showed us that he was getting to actually like his team. And then he was willing to risk his life to save Simmons. Without a thought, he risked everything to save her. How much did Ward actually grow to love these friends of his? 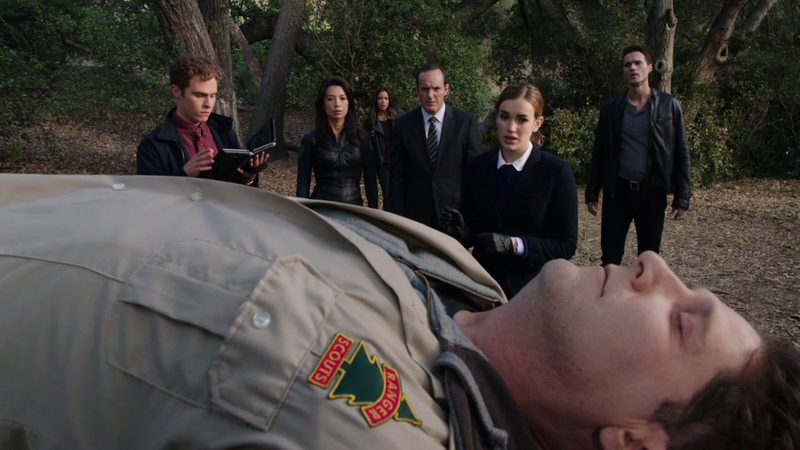 Coulson has two vulnerable and emotional scenes, too. Oh, and Blake touched Lola. Jerk.